The Tifosi Elder SL Crystal Smoke Sunglasses is the perfect grab and go pair of sunglasses for those in need of the utmost protection. Whether you’re bombing hills on your mountain bike or catching waves at the beach, the Elder SL is more than up to the task. The sunglasses is made of Grilamid TR 90 homopolyamide nylon that features an extremely high alternative bending strength, low density and high resistance to chemical and UV damage. It offers hydrophilic rubber ear and nose pieces for a no-slip fit. 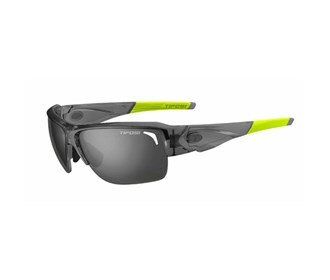 The Tifosi Elder SL Crystal Smoke Sunglasses has many exciting features for users of all types. 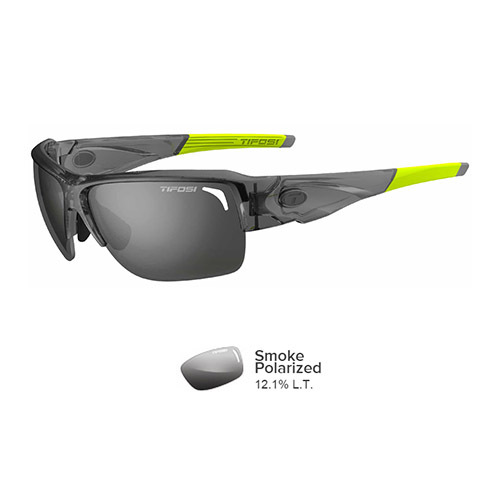 See the Tifosi Elder SL Crystal Smoke Sunglasses gallery images above for more product views. The Tifosi Elder SL Crystal Smoke Sunglasses is sold as a Brand New Unopened Item.